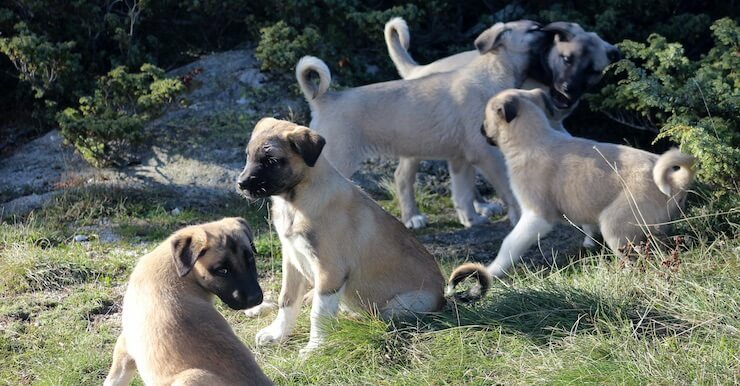 The Turkish Kangal Dog is an ancient flock guardian dog originally bred in Sivas, Turkey. These massive dogs are perfectly suited to being working dogs, caring for goats, sheep, cattle and possibly other livestock. They’re not traditionally kept as companion dogs, but, if you have a lifestyle that fits their specific welfare needs, this dog could be a devoted family pet. With extremely intense guardian instincts they will protect their ‘herd’ no matter whether this is livestock or your family. This is not a city dog. They need wide open, well-fenced spaces to roam. If you are considering having this dog, then read on to learn more about how these dogs might change your life. 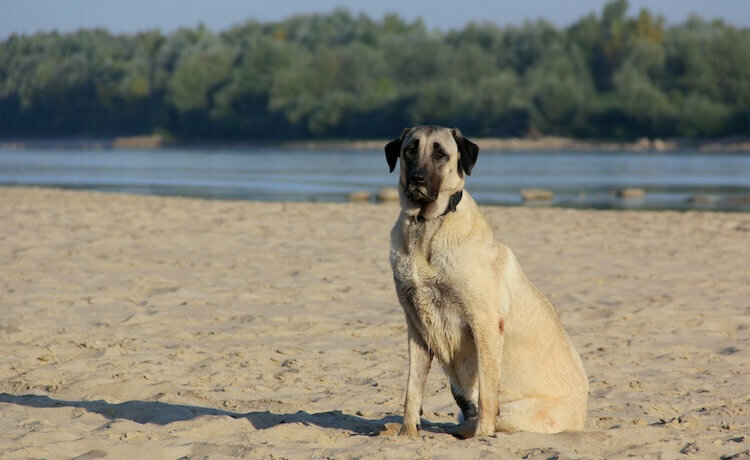 Can A Kangal Dog Be A Family Dog? Can A Kangal Dog Be Trained? How Much Does a Kangal Dog Cost? A Kangal is a working dog, originally bred in Sivas, Turkey, which guards flocks of sheep with their shepherd. Their job is to protect the flock and to deter, or attack if necessary, predators like wolves and bears. They have recently been imported as guardian dogs in the USA and often will protect herds of cattle or other livestock. This dog is a rare breed with only a few new dogs being imported into the USA each year. 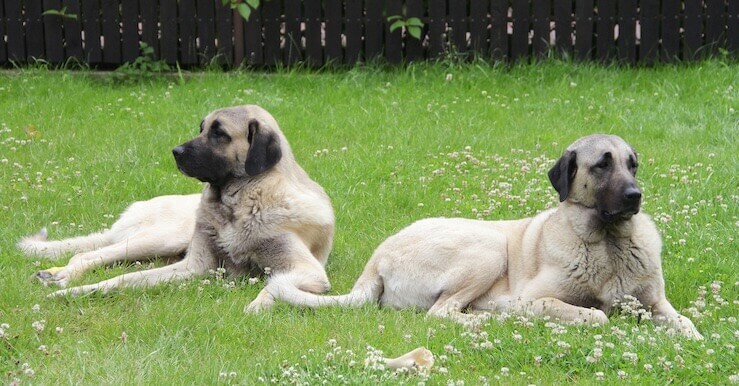 The breed is cared for by the Kangal Dog Club of America who prioritize the welfare and genetic health of the breed. With little outbreeding, thanks to the isolation of Sivas, so their appearance and temperament are predictable because of this style of isolated breeding. They are gentle giants when it comes to interacting with known humans and livestock but will be wary of strangers. His appearance has been genetically streamlined over many years due to his ongoing use as a guardian dog in the remote area of Sivas in Turkey. With a short, dense double coat that allows him to work outside in all condition and a tan coat with black ears and a black face. Due to his double coat, he will shed, in particular during Spring and Fall. He has drop ears that lay beside his head with a tail that curls up over his body and a large head with an extremely strong jaw. They are a heavy boned dog that is longer than they are tall. Because of their giant size, these dogs are slow to mature and aren’t fully grown until around 2 years of age. The coloration of this dog is particularly distinct, due to their closed breeding for many years. They’re tan with a black face and ears. Some people say that they were bred with a light coloration to make them easier to see in the dark. 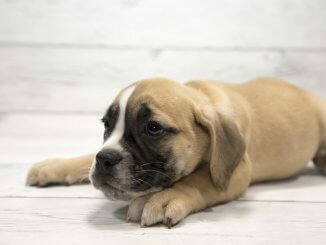 Any variation on this coloration such as brindles or large white patches above the knee is a sign of crossbreeding with other guard dogs and indicates that they are not purebred. The Kangal’s coat is short and dense. They have a double coat which helps to keep them warm when working outside during the colder months – in winter, the coat will be much thicker than in the summer. Their coat is straight and not particularly soft to touch. If they have a wiry or fluffy coat, this is a sign of crossbreeding. World renowned for their loyal, protective and gentle nature they have so much love to give. As livestock guardian dogs they are extremely hardy, capable of living outside all year round if given an appropriate area for shelter and rest. They’re naturally protective and this quality is impossible to train out of them. These are not dogs for first-time owners and experience with large dogs is recommended. When defending against predators, their first line of defense is barking or roaring. They will bark at anything that they see as strange and for this reason, do not make great pets if you have neighbors. These dogs are amazingly gentle with children and animals they’ve been raised with. These dogs are really loving and affectionate. They adore their close family and enjoy the company of people. Typically they are happy to work without human company for long periods of time, as long as they have an active role and canine company. These dogs have been bred purely to perform a specific job, and if left with nothing to do, they will become bored. Boredom may lead to destructive behaviors such as excessive barking and chewing. You would need to have a large property, with appropriate fencing that is dug into the ground, as Kangals love digging. You would also need to be able to keep them entertained by providing them with an active role. This could be in the form of toys, a few goats to protect, or regular human company. They are best suited to working life. If you have a family, and want a working guardian dog, that’s great – just make sure they have a working job too. They’re excellent with kids, they love being near people and adore giving and receiving affection. If you want this dog as a companion dog, and you have kids, then this may present more challenges. Without a job to do, they require a large amount of maintenance. Training this working dog is unlike training any other dog breed. They’re intelligent dogs that do not respond to command or obedience training. They’ve been bred solely to care for livestock and this trait is innate to them – the role you have in training is more supervisory than it is a trainer. This is not a traditional guard dog. They’re extremely difficult to train and do not respond to conventional training as they most often act upon instinct. 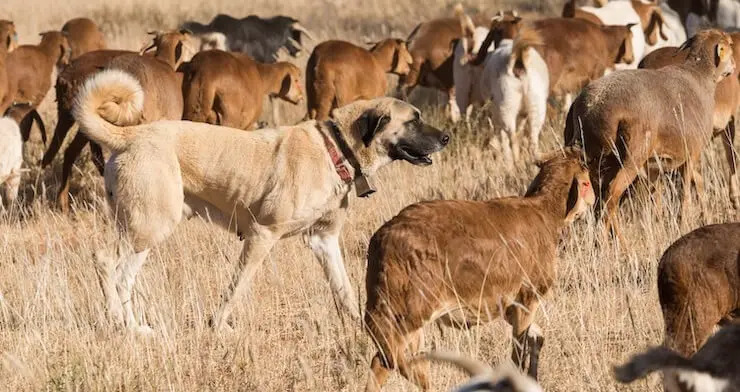 Normally their only training is alongside other trained adult Kangal dogs as they will learn how to behave around livestock through watching and mimicking the older dogs. These dogs are easily trained for guardianship of a flock. This is their most natural role and will require little training. They can also be used to patrol borders of fields to protect livestock. This is an extremely social dog breed which really needs the company of a pair or a pack when working or in a home. If you do plan on having him as a companion, you are likely to have the most successful training with food-focused positive reinforcement. They will only listen to you when they want to and should never be off the leash, unless in a safe closed off area without other dogs. This dog should NOT be used for personal protection. This breed is not a particularly difficult one to care for, as long as they are working. Once they are fully grown and trained, they will settle easily into their lifestyle. They will require no deliberate exercise. They need a small amount of grooming, mainly just some extra help during shedding season. They will be happy to just do their job and spend time with you and your family. They really are big teddy bears most of the time. If they are a companion dog, their level of care will be much higher. Someone suited to owning this dog would have a large amount of land preferably without close neighbors. They should also have enclosed spaces with sensible fencing. Experience owning big dogs is recommended and your dog should be on a leash when walking if taken off personal property. They require their nails clipping every month. Working dogs might need this less frequently as they wear down their nails more easily. They will need to be treated for fleas and wormed. They should be checked for ticks regularly as well. They’re not overly energetic dogs but are able to remain on the move, monitoring livestock, for long periods of time. The exercise requirements of this working dog is fulfilled by the role that they serve as a guardian. They should be outside for extended periods moving as the herd or flock moves around the land. They may also be patrolling the boundaries of the livestock’s area. This level of exercise is all they need and they will not require any deliberate exercise. 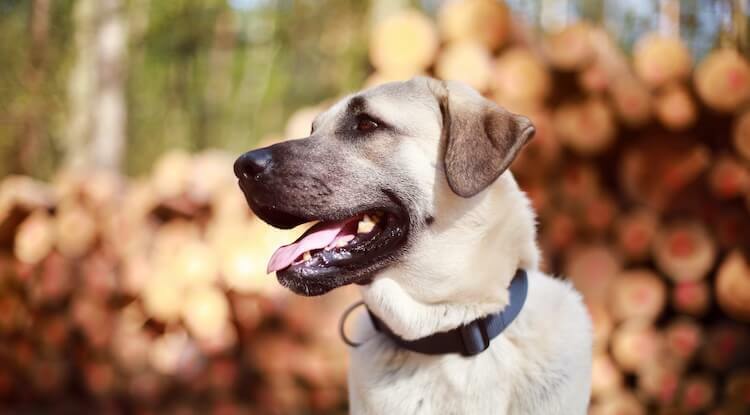 If you have a Kangal as a companion dog, they will need exercising every day. They are not high energy dogs but they will need around a half an hour to an hour’s walk each day. Grooming is not high up on their care plan. They have a short, dense double coat. The only real maintenance they will need is during shedding seasons (i.e. Spring and Fall). During these times he will shed to make room for new coat growth. You should brush him regularly when they are having one of these big blowouts using a deshedding tool. Other than this, a short 5 minute brush each week is all these dogs really need. If they become particularly dirty from working outside, you should wash them using warm water. Most of the time these dogs coats will require minimal maintenance. Being a giant breed, this dog needs a fair amount of food. They should be given around 30 calories per lb of body weight. If you have a 110 lb dog they will need around 3300 calories. The most common option for feeding dogs is a dry kibble mixed with wet food. In order to reach the daily calorie intake, once matured, they will need around 6 to 7 cups of dry kibble a day. Choosing a good quality kibble is extremely important as it should be specifically formulated for giant breed dogs. If you have a few working guardian dogs, a really good option is a raw food diet. A raw diet consists of unprocessed meats, bones, fruit and vegetables, some dairy and eggs. 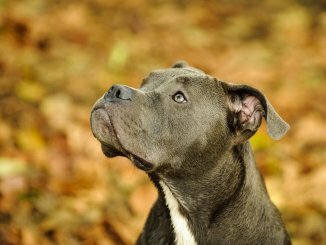 These dogs are well known for being extremely healthy dogs. However, they have few health conditions, associated with their large size, that regularly affect them such as hip dysplasia due to their size. Reputable breeders will have all their dogs and puppies tested for hip scores. Be sure to look at these before buying this breed. They will also require greater amounts of any medications because they are so large. There will be a higher cost for any treatments. How Long Does a Kangal Dog Live For? This breed is likely to live from between 12 to 15 years which is a long time for a breed of their size. 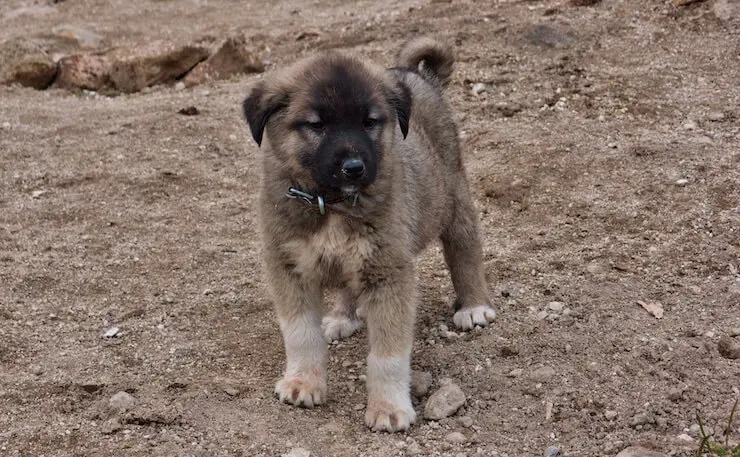 When buying this dog as a working dog, there are four recognized breeders in the US, which the Kangal Dog Club of America recommend. These breeders follow a set of ethical principles that ensure they are breeding dogs of a high standard. If you are really set on owning this ancient guardian, you should read through these principles and understand why they have been set out. Another option to consider, other than buying a puppy, is rescuing. 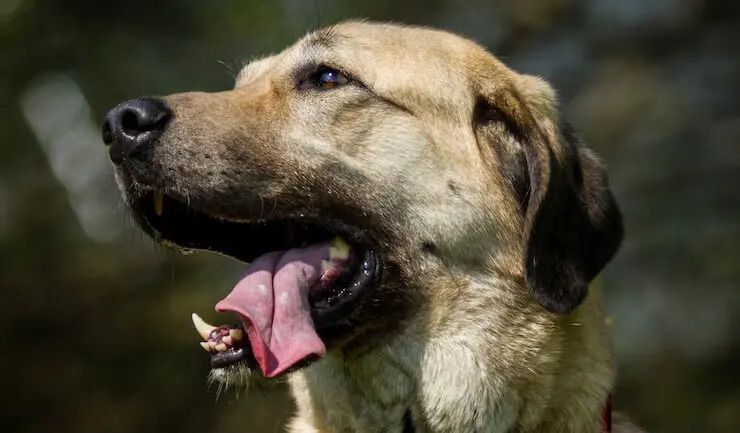 There’s a Kangal Dog Rescue organization that takes in dogs who have been rejected from their homes and places them into more suitable environments. This dog is going to cost you around $1,000 to $2,000 USD. This is a working dog that often has a long and detailed heritage that breeders can use to trace heritage. 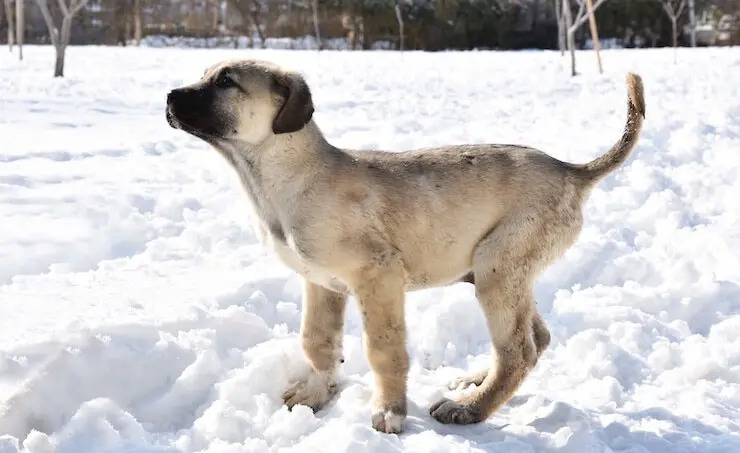 The Kangal dog is probably one of the best guardian dogs in the world. They do their job extremely well and fit in beautifully with the people around them. They love to work in pairs or more protecting an area of livestock. Extremely well suited for farm life as they only need a small amount of active care and occasionally a thorough brush during shedding season. They’re affectionate and are a dog who loves being with their family. Their intelligence and innate trait to protect may make them difficult to own as companion dogs, but, if you’re extremely dedicated and diligent to their welfare, then they could be happy in this role. They need space to roam and plenty of mental stimulation to prevent them from getting bored. As long as all of this is in order, this beautiful dog is sure to make a devoted companion for many years. Aussiedoodle: Is This Teddy Bear Dog Right For Your Family? 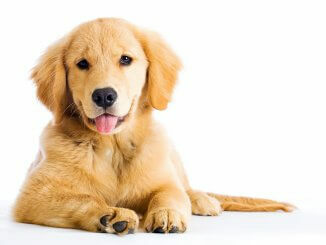 Miniature Golden Retriever: Is The Comfort Retriever The Dog For You? Labradoodle vs Goldendoodle: Which Doodle Is Right For Your Family? Frenchton: Is This Mischievous Dog Right For You? Victorian Bulldog: Is This The Best Bulldog?